Projects with involved stakeholders are far more likely to be successful. But many projects suffer from low engagement from executives, users, and key stakeholders. The PMI’s Pulse of the Profession survey found that projects with high executive support were 40% more likely to be successful than those with low engagement. However only 60% of executives were actively engaged. The Standish Group’s CHAOS Report reported similar results. High stakeholder and user involvement are critical factors in successful projects. Similarly, low engagement is a leading cause of failure. These finding make sense. When stakeholders are involved, expectations are well defined. Requirements are clear. Issues are resolved quickly. There is regular and constructive collaboration. Projects with low engagement lack a sense of purpose. The goal and definition of done is fuzzy. Scope is fluid. Milestones are missed and costs escalate. The first step is identifying the project’s stakeholders. Stakeholders are anyone impacted. This includes individuals and organizations. It also extends to those with a perceived impact. Examples of directly impacted stakeholders include customers, sponsors, and those working on the project. Second-tier suppliers and downstream applications are often indirectly affected. Remember to consider compliance, governance, and support organizations such as: Legal, Procurement, Human Resources, Finance, etc. Those with a perceived impact are often forgotten. Consequently, they may feel neglected and become an unintended threat. When in doubt it is better to be overly inclusive than leave someone off the list. Role on the project including assignments to working groups, committees, and meetings, etc. Personal reminders that help you build rapport with the stakeholder. It is not enough to just identify the stakeholders. The value comes form understanding them: their formal and informal roles on the project, and best way to work with and influence them, etc. Stakeholders have both formal and informal roles on the project. The formal role is often associated with their official standing in the organization. The informal role is based on their influence and power within the project. A business subject matter expert might not have an important official title, but could be the only person in the enterprise that understands the business process critical to your project. Conversely a technology VP might have formal organizational power but might only play a peripheral role on this project. There are several variants of the influence-power map. All are valuable tools for understanding and managing your stakeholders. They help categorize stakeholders, identify their needs, and help the project manager develop strategies for handling their interests. The mapping provides insight where the project manager needs to invest their time and effort. Relationship power is the most effective and durable form of power. It is based on the ability to build connections, rapport, and trust with stakeholders. Use the informal registry to enter information that will help maintain these connections. For example: what are the names of their children and what sports do they play? Do they love to travel and where was their last trip? Communications is about the listener (receiver). The Sender-Receiver Model demonstrates the importance of communicating in a style and fashion that is compatible with the receiver. Effective project managers understand their stakeholders’ communications preferences and how to adjust their natural style to be compatible. This improves the quality of the communication and increases the likelihood that the message will actually be heard. There are several different models and methods for understanding how to effectively communicate. The DISC Model is both easy to use and effective in improving communications. The Manager Tools Effective Communications Conference is an invaluable one-days course. It teaches you how to identify the four DISC behavioral styles and how to adopt your communications to be more compatible with your receivers. Does the stakeholder prefer written or oral communications? How much detail do they want to know? Do they like chitchat or does that annoy them? Are they concerned about the team’s feelings or is their primary focus on execution? The Communications Strategy and Plan guides the project manager’s engagement with stakeholders. Understanding the stakeholder’s objectives, influence, power, and communication styles are value inputs to the communications strategy. The strategy should focus what information needs to be communicated, the medium, and regularity. The strategy should also segment the stakeholders into their constituent groups. Stakeholders maybe segmented based on influence-power mapping, organization, role, etc. Communications should be tailored to the stakeholder segments based on their needs. The size, complexity, and criticality of the project will dictate the regularity and medium of the project communications. Communications should be on a regular cadence to manage expectations. 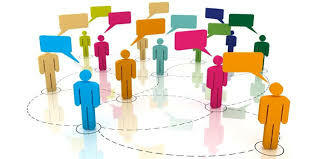 Overlapping delivery methods also help to ensure the messages are received. For example, a major strategic initiative might have a monthly meeting with the C-level executive stakeholders, a weekly meeting with the primarily stakeholders (high-influence, high-power) and less frequent meetings with others. These meetings should also be supplemented with informal discussion, written reports, and broadcast messages. Project managers need things from their stakeholders—it could be funding, resources, approvals, or support. Be prepared to clearly state your needs and request what actions are required from the stakeholder. Do not assume they will divine the need or select the preferred action. When preparing a request, consider the stakeholder’s communication style. Do they want “bottom-line-up-front” or will they prefer to see the analysis first? Do they prefer to review a request before discussing it? Consider the approach that is most likely to yield a favorable result. It is generally best to not present a formal request to the stakeholders without discussing it first. “Pre-wiring” decisions and important discussions help to ensure a favorable outcome. For example, meet with your key stakeholders before the executive governance meeting. Make sure they are ready to support your request. Having involved and active stakeholders is key factor in determining project success. Taking the effort to effectively and constructively engage stakeholder is an essential part of a project manager’s role. Building relationships, understanding the stakeholder’s aspirations, role, and communications preferences are investments that pay handsome dividends. To learn more about our training and consulting services, or to subscribe to our Newsletter, visit our website: www.pmessentials.us. Zandhuis, A., Snijders, P., Newton, S., & Wuttke, T. (2014). Chapter 13: Project Stakeholder Management in PMBOK® Guide 5th edition: a pocket companion to PMIs: a quick introduction to A Guide to the Project Management Body of Knowledge (PMBOK® Guide). Zaltbommel: Van Haren Publishing.